Dr. Robin Hofmann is a senior consultant cardiologist at Södersjukhuset in Stockholm specializing in acute cardiology with focus on ischemic heart disease. As a researcher, he is affiliated at the Karolinska Institutet, Department of Clinical Science and Education, Södersjukhuset, Stockholm. Bertil Lindahl, MD, PhD is professor of Cardiology, Uppsala University, Sweden and the former director of Uppsala Clinical Research center. 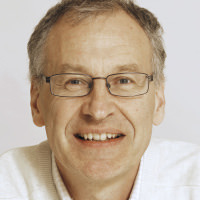 Bertil Lindahl is the author of more than 200 peer reviewed original articles and more than 60 review articles, editorials or book chapters, mainly in biochemical markers, observational studies, clinical trials and quality registries in acute coronary syndromes. He has served on a number of national and international committees including the Task Force for the Universal Definition of Myocardial Infarction and the committee for the National Guidelines for Cardiac Care, The National Board of Health and Welfare. He has also participated in the scientific advisory boards for a number of diagnostic companies. 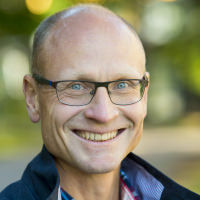 Bertil Lindahl has received research grants from the Swedish Heart-Lung Foundation and the Swedish Foundation for Strategic Research. He is member of the Swedish Society of Cardiology and Fellow of the European Society of Cardiology. Stefan James is Professor of Cardiology at Uppsala University and Scientific Director of Uppsala Clinical Research Center. He is a Senior Interventional Cardiologist at Uppsala University Hospital Sweden. He graduated from Uppsala University Medical School and completed specialist training in Uppsala. He has previously held positions at the Karolinska Hospital and Duke Clinical Research Institute, Duke University. A Fellow of the European Society of Cardiology (ESC), Professor James co-chaired the previous and current 2017 ESC guidelines for ST-elevation myocardial infarction, co-author of several of the recent European guidelines on ACS and revascularization. He is the also Society’s official representative for the European Commission for Evaluation of Medical Devices. Stefan James has served as PI on steering committees for numerous international trials in cardiology including PLATO, Early-ACS trial, EVOLUTION, APPRAISE II, GUSTO IV-ACS, GEMINI and THEMIS. He has served as the chairman of the Swedish Coronary and Angioplasty registry and a member of the steering committee of SWEDEHEART. He has pioneered the concept of registry based randomized clinical trials and served as the study chair for large outcome trials TASTE and VALIDATE. His research has been published in over 275 peer-reviewed cardiology journals, and he is an associate editor of Circulation and an editorial board member for the European Heart Journal, and American Heart Journal. Last year, he was named by Thomson Reuters as a ‘Highly Cited Researcher’, ranking him among the top 1% most cited in clinical medicine. Tomas Jernberg is professor at Department of clinical sciences, Danderyd Hospital, Karolinska Institutet, and chair of SWEDEHEART since 2012. Prof David Erlinge received an MD at Lund University, Sweden 1990 followed by a PhD at the same university. He has been a visiting research fellow at Cornell Univ. Med. Coll., New York, NY. Prof Erlinge is an interventional cardiologist focusing on PCI with a clinical interest in acute coronary syndromes. 2008 he was appointed Professor in Cardiology at Lund University. He is past-president of the Swedish society of cardiology. Prof Erlinges research interest is translational with basic research regarding the role of ADP and ATP (P2)-receptors in cardiovascular physiology, platelet regulation and microparticles. He has performed several clinical studies for the development of antiplatelet strategies with P2Y12-blockers. He optimized protocols for cardioprotection with hypothermia and confirmed them in phase II and III studies. The research is focused on acute coronary syndromes, platelet function and cardioprotection. He is currently leading clinical trials to identify and treat vulnerable plaques. He has written >280 original articles. He has been involved in the registry based randomized clinical trials (RRCT) from TASTE, IFR-SWEDEHEART, DETO2X and was the leader of the pharmaceutical RRCT VALIDATE-SWEDEHEART. 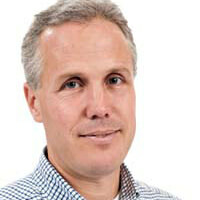 Prof Erlinge is Chairman of the Swedish PCI register SCAAR and on the board of the heart registry SWEDEHEART.